After Alpha and I ran our 10K, I couldn’t wait for the full marathon! I was excited and oddly enough I wasn’t as nervous as I was the previous week. There was one thing on my mind….BLISTERS!!!! I just finished the 10K and had blister thst starting bothering me at mile 2! While at the expo I did have the opportunity to meet up with Get fit with La who is a fantastic lady! Luckily I also ran into my shoe Doctor, AKA Andres from Track Shack, who was working at the expo that day, I told him my blister problem and he said not to worry! He gave me these pairs of socks and said, “trust me.” I purchased the socks and we went home. I was skeptical since I had tried all the major name brand socks and none of them worked. He told me to just wear the socks, not worry about body glide, moleskin, tape, nothing just wear the socks. Well, since at this point I had nothing to lose, and for the 10K I had tried all of that and it didn’t work anyway I said fine I will. I DO NOT recommend trying something new on race day, but at this point I was desperate, and nothing else was working so I listened and decided to just go with it. We stayed on site the previous night to be closer to the race and make it easier for my best friend Janine who was going to stay with my little man while we raced. It was tough to get to sleep because all I kept thinking about if I had everything I needed for the race. I probably slept an hour or 2 at the most and woke up at 1:30am to start getting ready. Janine and I didn’t really make any set plans for on course cheering but I told her to be after mile 19 in case I “hit the wall.” We were going to meet at the finish line no matter what. 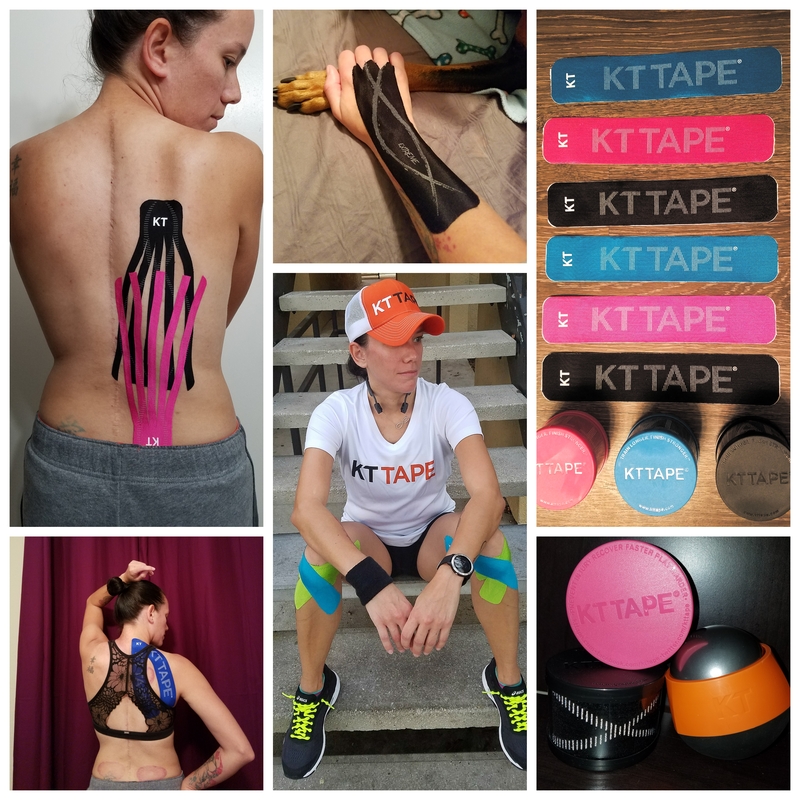 I ate, alpha KT Taped me, and stretched, and foam rolled, and used the massage stick. 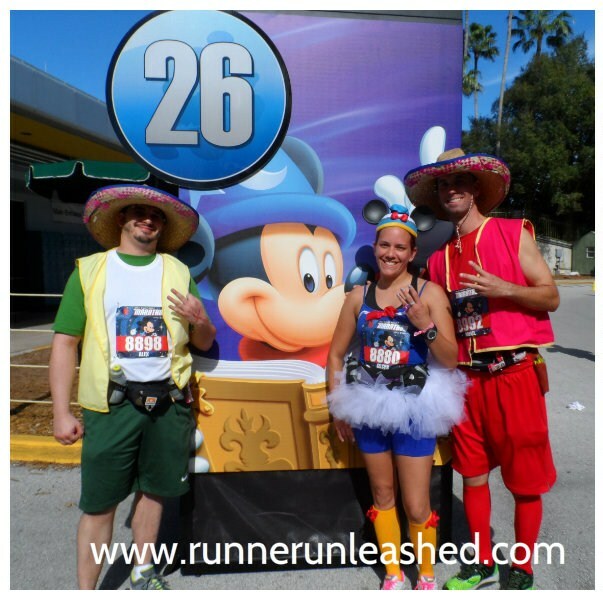 Put on our costumes and waited for the third of the Three Caballeros to pick us up and go to the start line. I had eaten a few power bars, and drank gatorade. I had saved an energy shot and a banana to eat right before we started. Once we parked, as usual straight for the porta potties! The lines were long and I knew I was going to go more than once. I was full of fluids LOL. While we started to stretch again, they called our corrals and we made that long 20 minute walk to our start area. There we sat since we knew it was going to be a while until we started since we were once of the last corrals. Its 5:30am and the race had officially started! And we are off! Here we head towards a finish line that would change our lives! 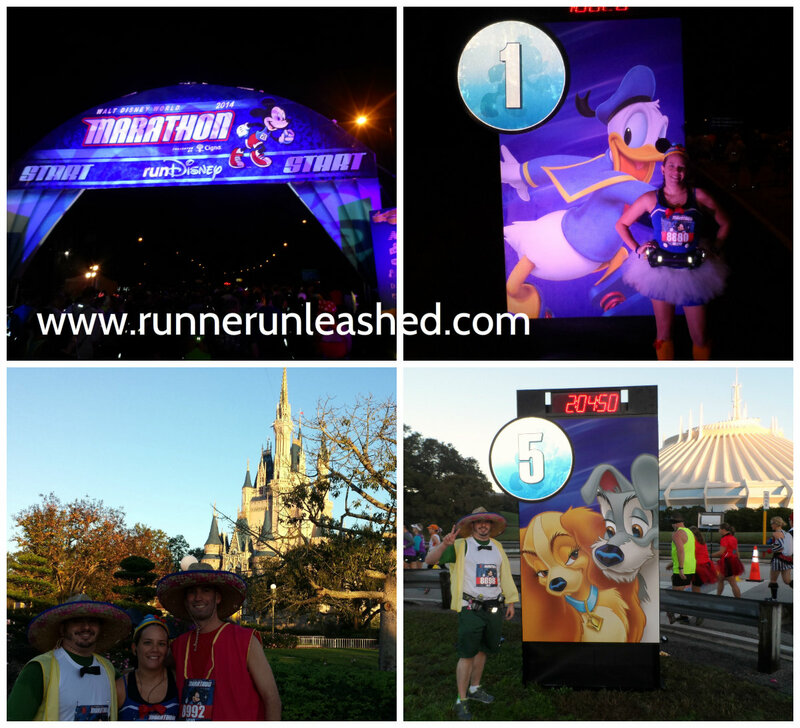 At least for me and Alex, Alpha had ran the Goofy Challenge last year and this was his second marathon. But he was just as excited and pumped as we were! Luckily I was able to keep my pace and comfortable enough for the guys. I am obviously slower than them, so we had to find a happy medium for everyone. We were going at a slow and steady pace, and we had a chance to stop and take some photos, started on the street and made our way towards the first park, Magic Kingdom. We are down one park heading towards the Walt Disney World Speedway! The first 6 miles were going great! Everyone was fine and running strong! The weather was PERFECT! It wasn’t hot because the temps were cool and dropping, so the sun didn’t feel so strong. Just last year they added the speedway into the course and it was awesome! After coming out of the track, we started heading towards animal kingdom. We were all still doing OK and enjoying the sights. As we ran through some back roads and a golfing goofy, we made our way into Animal Kingdom. It was getting tough for Alex at this point but he was doing OK. His legs were starting to tighten up but luckily there were a lot of medical tents along the course which has Biofreeze, tylenol, sun screen and EMTs if needed. So he stopped there to lather up in Biofreeze to continue. There were cast members with some animals cheering us on! We saw hawks, owls, pigs, sheep and goats, O MY! After running through park #2 we were starting to feel it a little. It was past the half way already but I was starting to feel my back pain a little. So I stopped also to get some Biofreeze on my hip flexor and my back, also took the chance to eat one of our snacks we brought with us. As we headed onto running on the streets again, guess who drives by and spots us and starts making crazy noise????? Janine, Jorge, and my little man!!! Boy was I happy to see her! Even if it was while she slowly drove by. That happened a few times as they made their way to ESPN center to wait for us to run by. At this point Alex was dropping and could barely even walk fast. I was up ahead with Alpha and stopped to see where he was, we waited for him and he told us he was in pain and most likely couldn’t run anymore. He had taken Tylenol at one of the stops but it didn’t help. His muscles were so severely tight he couldn’t push it anymore without risking an injury. Problem was, I couldn’t stop running. I was also starting to suffer, but back pain. Nothing else was hurting or bothering me. But when I run long distances, I can’t stop otherwise my pains flare up. I told him my situation and he told me to keep going, but I promised him one thing, “We cross that finish line together!” and I took off. My pace was rapidly dropping and I was running at a VERY slow pace. At mile 18 I stopped to eat again and waited to see Alex. He was not that far behind me and he told us that he can walk at a very fast pace which was perfect because I was running so slow. I could turn around and I can spot him in the crowd. We were coming up on the end of mile 19 and I was on the verge of tears because of the pain. And off in the distance I see a purple butterfly screaming and jumping at me, it was Janine! I ran up to her and starting crying on her shoulder! She told me the words I needed to hear, and she gave me Bella’s wings to finish the race. (For those of you who don’t know, Bella is a little baby angel in the sky who watches over me) Jorge was walking up to us with my little man and he was happy to see me! He told me to run fast and GO! GO! GO! I hugged him and we took off again! At this point we were a little bit after mile 20 and MAN! I was in trouble!!! My back was killing me! I had stopped for Tylenol and Alpha would lather me up in Biofreeze but nothing was working. I WAS NOT GIVING UP!! I was going to finish my race no matter how long it took me! I was still “running” if you would call it that because people were walking faster than I was running. We were heading into Hollywood Studios, on the horizon of the last bit of the race. I would shed a tear here and there and Alpha never left my side. He knew I wasn’t going to stop, call it stubbornness or determination but I was still going. I can see the look of worry on his face but he kept feeding me encouragement and motivation the rest of the race. We left the 3rd park and headed towards the Boardwalk, that was a quick mile inside as we headed into Epcot, the last and final park of the race. 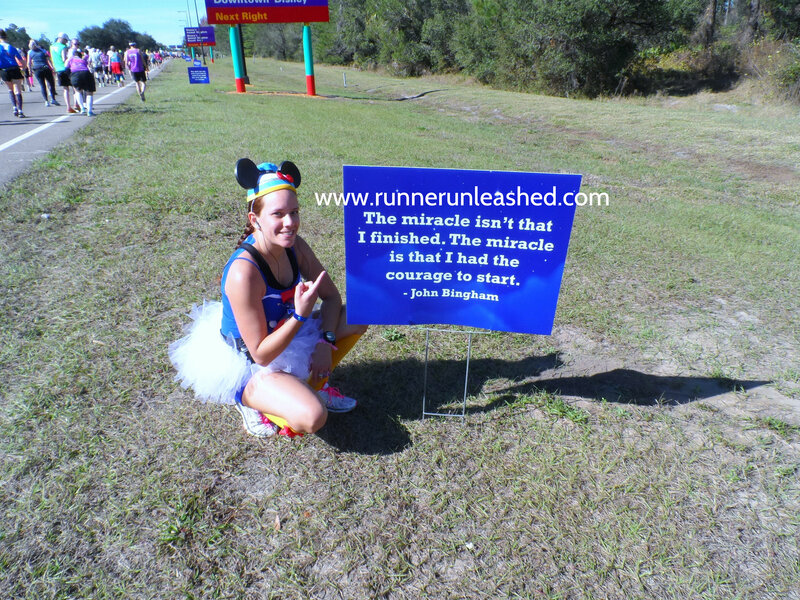 We were slowly making our way towards the finish line just outside Epcot. As we ran through the park, there were park guests giving us weird stares. I think they thought we were crazy running 26.2 miles just for fun 😉 I consider that a compliment because I am brave enough to even try to run that distance. It honestly felt like that last mile was the loooongest mile I have ever ran! But just as we were all together passing Mexico making or last turn before we hit that 26 miles, we found that last bit of energy to run as I had been walking almost that entire last mile. As I rounded that last corner I could hear the choir. 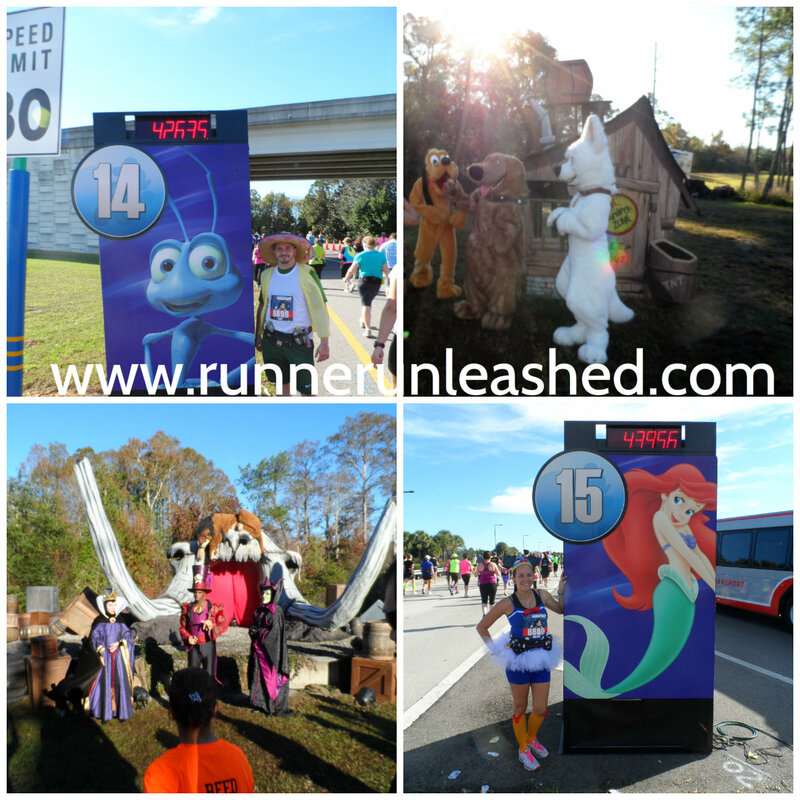 Which if you have run a long distance Disney race you know what the means…The finish is meters away!!! As we passed the choir, the roar of the finish line crowd was loud! You could hear everyone cheering and screaming! 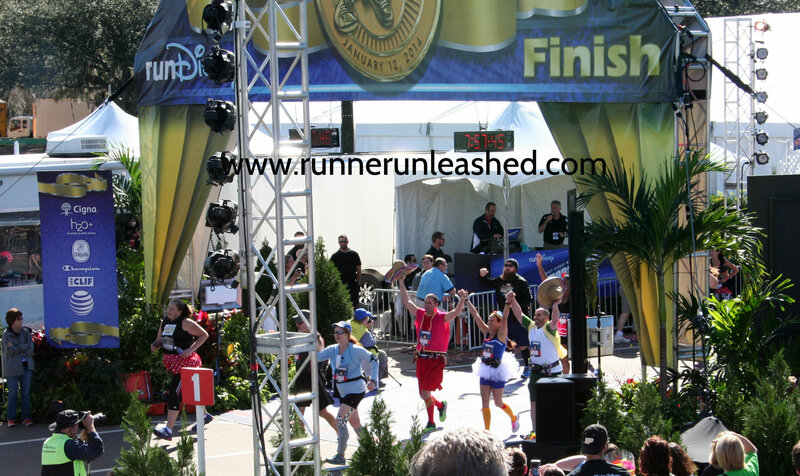 I saw the finish line but I also saw Donald Duck signaling to me! I had to stop and take a picture with him, I gave my back to the finish line for my last photo before I become a marathoner, once I turned I took one deep breath and ran hand in hand with my best friend and my Alpha and we ran across that finish line to a feeling I cannot describe! I did it! We finished! Alex and I were marathoners for the first time!! As soon as I crossed that finish line I went to get ice on my back and shins! We got our run Disney snack boxes, bananas, powerade and water and sat to stretch and calm down. My back pain subsided a few hours following the finish. When we got to the hotel I stretched, foam rolled, and did an Epsom salt bath thanks to Janine for giving us each a basket filled with post run goodies! 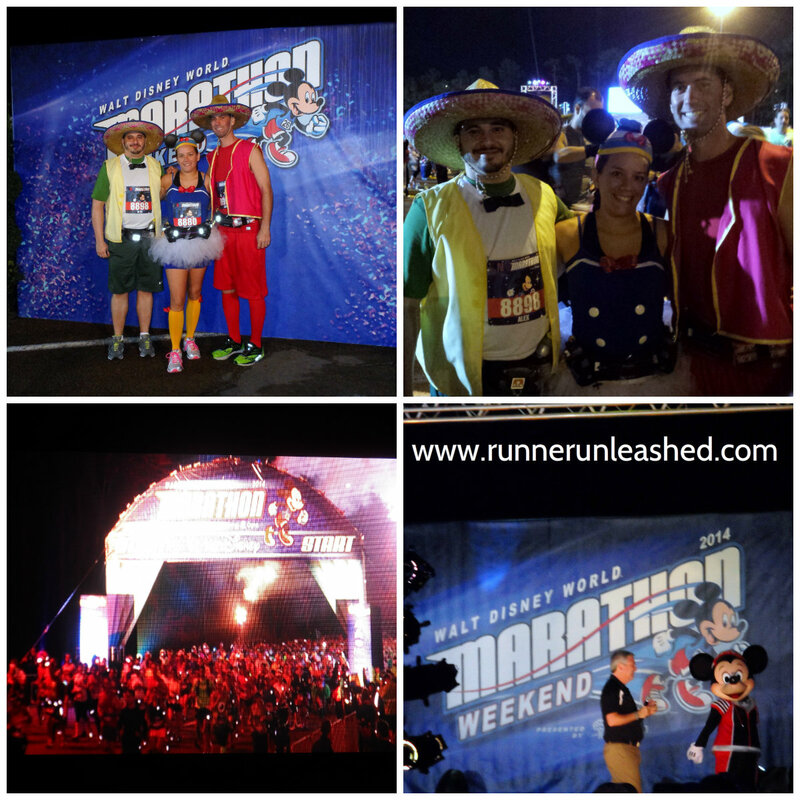 Overall, it was an experience every marathoner should do. Yes, it was difficult for me but that won’t stop me =) I am getting closer and closer to my dreams of running NYC and I WILL make it happen! This marathon just gave me achy feet, no shin splints, and no other pains I usually get. And thanks to Feetures I ran it BLISTER FREE!!!!!!!!! WOOHOO! So glad I decided to listen to Andres and run just as he told me to. It was a last-minute decision but it worked! Not even my hot spots were bothering me, AMAZING socks! I had been waiting for this post! Great job! You are such an inspiration. ha! Sorry it took so long LOL thank you so much for your kind words! Great recap, I got a lump in my throat reading it! I know we don’t know each other, but I am so proud of you! I wish I could give you a big hug and say thank you for inspiring me and so many other people out there to never give up on our dreams. Ps. 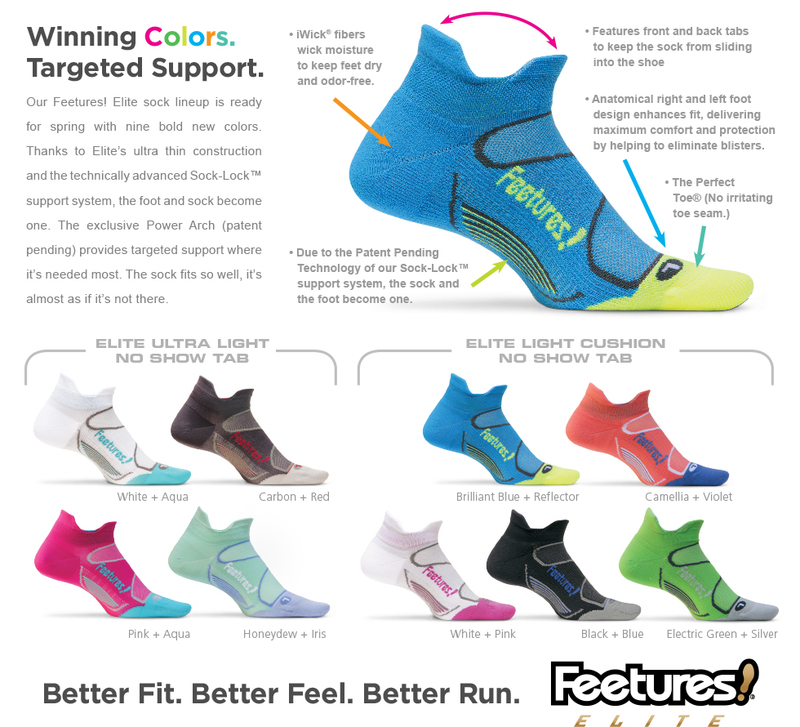 I love feetures socks too! just amazing!! you are such an inspiration!!! tears flowed while reading this!! great race!! keep up the great work!! 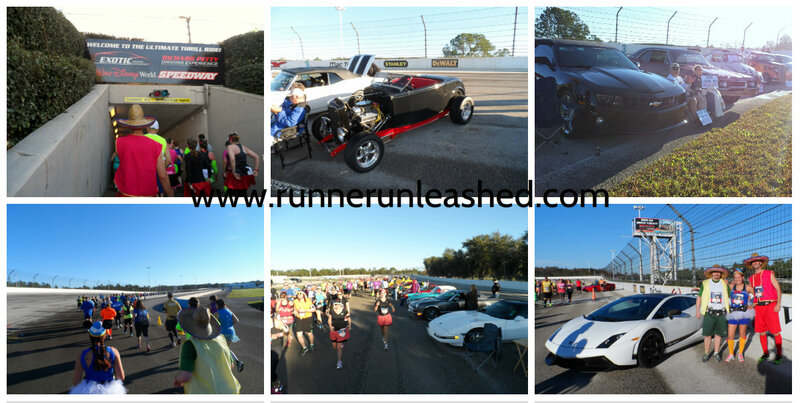 Next Next post: Create your own racing experience! !